This Celebrate card involves the colors from the Color Throwdown #43 (Old Olive, Lavender Lace and Elegant Eggplant) and the Midnight Madness Sketch Challenge #2. I used some unmarked designer paper, my Nestabilities rectangle die cut and Eastern Blooms, Trimtastic and Lexicon of Love Stamps. 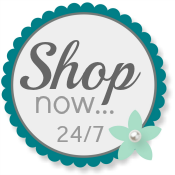 If you have any questions or need to order Stampin' Up, please contact me or see my Demonstrator Website. 1. Stampin' Up's Last Chance list appears on June 1st. These stamps and accessories will be available while supplies last. 2. The 6 In Colors will be disappearing, making way for 6 NEW In Colors that are available on July 1st. 3. The Buy 3, Get One FREE promotion for Designer Series Paper (and textured cardstock) is only available through May 31st! I like your friendship card and the celebrate stamp with the lavendars. Thank you for playing the Midnight Madness Sketch Challenge, please play again and AGAIN. Very pretty!!! Thanks for playing the Throwdown! Hope to see you again next time! Very lovely. Thank you for playing with us. Hope to see more of your work. Beautiful card! I love those scalloped borders! Thanks for playing the Throwdown! Love the scallops and that pretty flower!!! Thanks for playing the Color Throwdown challenge with us! Hope to see you again! !